Location is very convenient as it is close to the shopping district with Media Mart, Praxis etc. They have free car parking. Nice hotel. Good facilities. Parking available. Comfortable bed. We were 3 people and an extra bed was provided. Staff is very friendly. Nice breakfast buffet. Simple, clean rooms. Room was very good and hotel has very good standards. Spacious bedroom, nice decoration. Good breakfast. Good parking facilities and within walking distance of the center. It was a nice hotel with very comfortable rooms, friendly staff, wifi and a nice breakfast that was included in the price. Hotel Middelburg This rating is a reflection of how the property compares to the industry standard when it comes to price, facilities and services available. It's based on a self-evaluation by the property. Use this rating to help choose your stay! One of our best sellers in Middelburg! Hotel Middelburg is a family owned hotel on the edge of Middelburg. 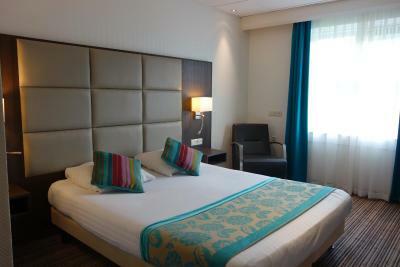 It offers rooms with climate control and LED lighting. There is a cozy restaurant and the bar serves snacks and an extensive choice of beverages. Free Wi-Fi is available throughout the hotel. Each of the rooms at Middelburg Hotel has a lounge area, cable TV and an alarm clock. The rooms also have a private bathroom. In the comfort rooms a small fridge and hairdryer are included. All other rooms can request a hairdryer. 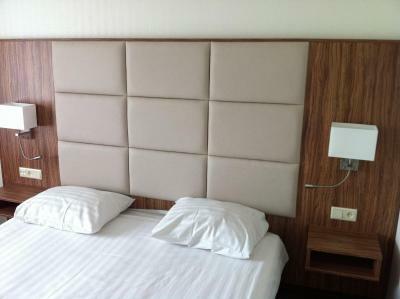 Hotel Middelburg is located near the A58. There is a bus stop next to the hotel from where bus 57 Prinselaan, at the corner of Spinhuisweg and Torenweg, offers direct connections to Middelburg Railway Station. The Markt in city center is just over 1.2 mi away. 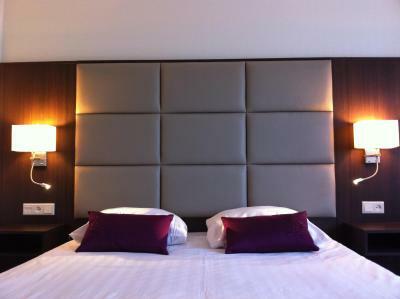 When would you like to stay at Hotel Middelburg? This room comes with flat-screen LED TV and a desk. Flat-screen LED TV and a desk are provided standard. House Rules Hotel Middelburg takes special requests – add in the next step! ATM card Debit card Hotel Middelburg accepts these cards and reserves the right to temporarily hold an amount prior to arrival. Hotel Middelburg accepts these cards and reserves the right to temporarily hold an amount prior to arrival. The restaurant's kitchen is closed for dinner on Sundays. Please note that check-in on Sundays can be done until 21:00 hrs. 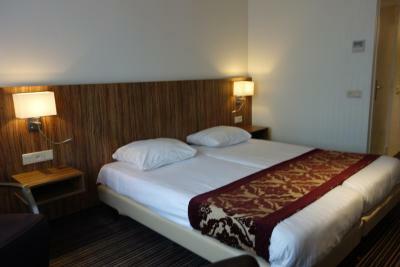 Please note that booking an extra bed comes at a charge of EUR 30 per night. Breakfast is also included in the rate. Please inform Hotel Middelburg of your expected arrival time in advance. You can use the Special Requests box when booking, or contact the property directly using the contact details in your confirmation. It was a bit further out of town than originally thought -about a 25 minute walk. Breakfast could be a bit more variety. No elevator, which was a bit difficult with luggage. It's a bit out of town, though walking distance (approx 15 mins). There was nothing we did not like about Hotel Middelburg. 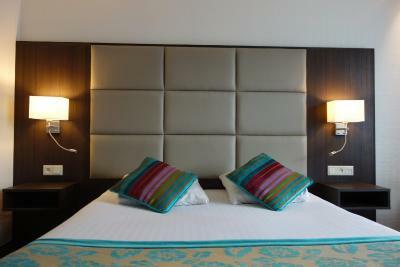 A comfortable room, nice dining area and ample breakfast with friendly staff around to help. Breakfast is minimum. Rooms at ground floor. Only let down by no tea / coffee in the room. the location is bit out of the city.